Fireworks go off at the Singapore Grand Prix. 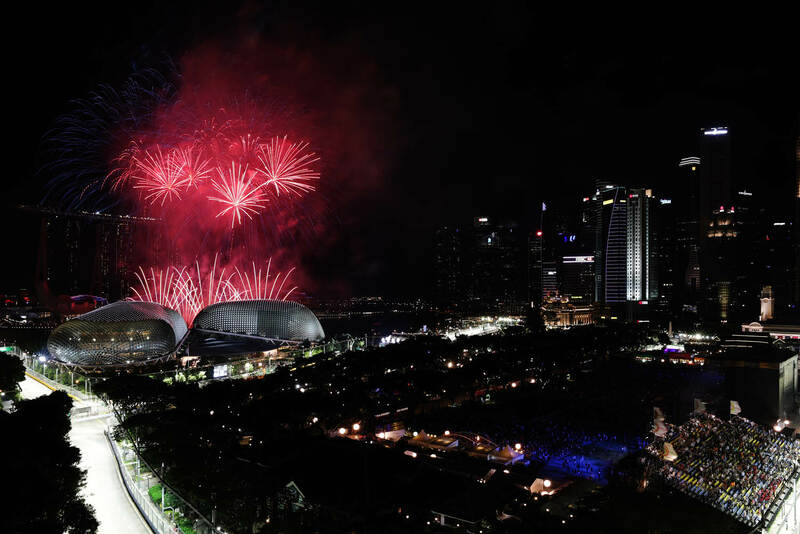 The fireworks go off at the Singapore Grand Prix. 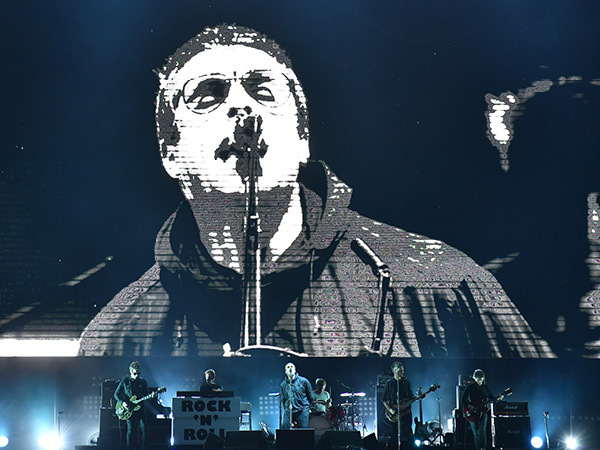 Liam Gallagher performs at the Singapore Grand Prix. VIP party precinct Twenty3 at the Sinagpore Grand Prix. Daniel Ricciardo at the Singapore Grand Prix. F1’s original night race is one of the world’s great sporting events, but is much more than that. Stewart Bell details why it’s the perfect getaway. September sees Singapore light up, rev up and come alive, and this year it was for the 11th edition of the Formula 1 2018 Singapore Airlines Singapore Grand Prix, with the world’s fastest racers going wheel-to-wheel on the streets of Marina Bay for Grand Prix glory. 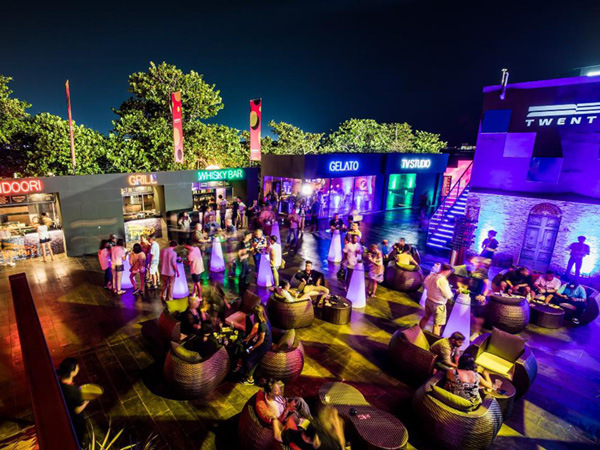 But, as with all previous editions of the Formula 1 Singapore Grand Prix, a ticket to the event is so much more than just the intense competition on-track – with live performances from the world’s hottest artists, trackside parties and endless things to see and do around the Circuit Park. All of it right in the heart of one of the world’s great cities, Singapore, which is famous for its endless shopping, dining and relaxation options. A short flight from most Australian capitals the icing on the cake in terms of making it a no-brainer for a “quick trip with the lot”, and easy on the annual leave. Best thing is that tickets are already on sale for 2019, with Super Early Bird prices currently available (until November 15, 2018) with up to 33 per cent savings. But if a big discount wasn’t enough, here are four uniquely different reasons to book a trip to the Formula 1 Singapore Grand Prix. F1 under lights at night is one of the most amazing things you’ll ever see, with light and sparks dancing off the multi-million dollar cars as they go wheel-to-wheel racing at up to 320km/h. 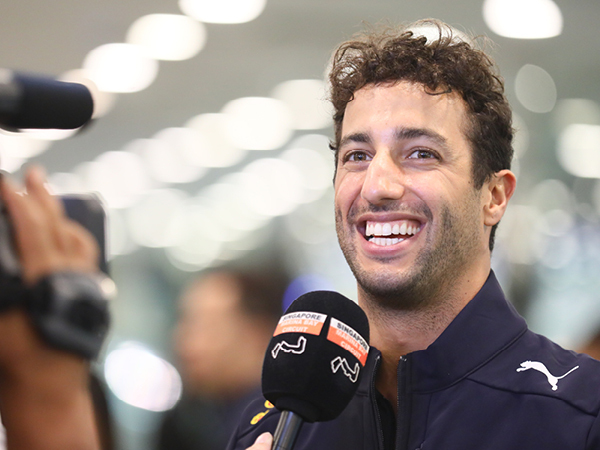 And Australians have a racer to get behind in smiling assassin Daniel Ricciardo, who next year will drive for Renault. It’s a trackside party Ricciardo knows very well, given his family and friends regularly take the short flight from Perth. Away from the track, which featured F1 along with competitive sportscar series Ferrari Challenge Asia Pacific and Porsche Carrera Cup Asia, fans were treated to incredible live performances from 27 acts this year, featuring headliners Martin Garrix, The Killers, Liam Gallagher, Jay Chou, Dua Lipa, and Simply Red. You can expect 2019’s entertainment line-up to make news when it’s released, with the past headline acts at the event including Rihanna, Calvin Harris, Ariana Grande, Maroon 5, Kylie Minogue, The Killers, Robbie Williams, Bon Jovi, Linkin Park, and Jennifer Lopez. There’s something for everyone. Of course, there’s a ticket option for any budget at the event. But in Singapore, attending as a VIP takes on a whole new meaning – complete with behind the scenes views that few get to see, and world-class hospitality that ensures you will have the best time experiencing the world’s most glamorous sport. This year, there was also an iconic Australian in the Formula 1 Paddock Club, with Neil Perry’s Rockpool restaurant making its debut in the world-famous super luxe hospitality precinct that also featured Nobu, Hong Kong-based bar and restaurant Stockton, and international star Como Cuisine. There was yet another debut happening further down the pit straight with new VIP party precinct Twenty3, its name from the final turn where it’s located. And it had to be seen-to-be-believed with Twenty3 housed over 3,000sqm with three five-star restaurants, four bars, a 10-metre long dessert bar and, to top it off, a two-storey nightclub known as the Apex Lounge – complete with a kinetic light installation, which was specially brought in from Germany. But, thousands of Australians still left Singapore’s Marina Bay Street Circuit on Sunday night happy, following an action-packed weekend at F1’s original night race – with this year’s event celebrating its 11th edition since 2008, and second-highest ever attendance with over 263,000 people. It’s easy to see why with the event having lots of fun for the whole family, with kids young and old getting their hearts racing with interactive activities such as the Pit Stop Challenge, the support race paddocks or getting behind the wheel of a race simulator, for a few laps of the Marina Bay Street Circuit. The FORMULA 1 2019 SINGAPORE AIRLINES SINGAPORE GRAND PRIX will be held from September 20-22*, with tickets available at singaporegp.sg.